There are so many things to consider when selling your home that it’s easy to overlook important details and make mistakes. We want to shed light on the situation to help you avoid making mistakes when selling your home. Let’s take a look at some of the most common mistakes that you should avoid when selling your home. We all have memories and stories from the homes we have spent time in. However, when we are selling a home, we have to embrace that new memories are going to be made with a special buyer. We want to use our love of the house to highlight what a new buyer might also find special. Use our fondness of reading in front of a well-lit window to stage that nook for the home’s new bookworm. One of the most common mistakes when selling your home is thinking everyone feels the same way about all your stuff as you do. When preparing to invite potential buyers into your home, put personal belongings away. Tidy up children and pet toys, and declutter any space that is distracting. Aim for simple and inviting when staging your home- think of it as an opportunity to be photo-ready. Nobody wants to be blindsided with unexpected issues and delays when purchasing a new home. A buyer may rescind an offer due to nondisclosure if they fear items may be costly or problematic down the road. Alternatively, a buyer may demand repairs be made as a condition of purchase. Be honest and disclose items up front. If needed, consider an “as-is” selling option. 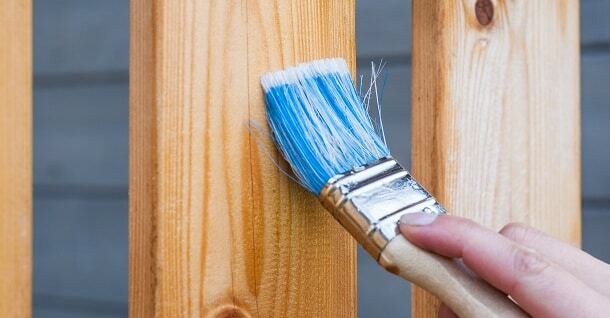 Outside of repairs that are cost prohibitive, making minor repairs that increase value and improve the aesthetics of the home may help sell it faster. Unfortunately, this is one of the mistakes when selling your home that slow things down. Buyers like to know their new home is move-in ready. Make the transition inviting and simple by taking care of minor repairs before you begin showing your home. Investigate the comparable houses in your neighborhood. Price your home to sell – if you ask too much when the nearby home prices are lower, buyers may not bother considering your home at all. This is one of the simplest mistakes to avoid when selling your home. First impressions are everything- take the time to clean and tidy up the front of the house. Planting some inexpensive and pretty flowers for a pop of color is fresh and inviting to a prospective buyer. You can create nice curb appeal with very little time or expense. If you want to sell your home fast, people need to see it. Make sure you cooperate with your agent to provide open house opportunities and frequent showings. If there is no traffic to see the house, it won’t sell. Of all of the mistakes when selling your home, this willingness to be inconvenienced may make or break your success. You can sell your home to a local traditional buyer, a private investor, or to a professional buyer such as 800-BUY-KWIK. Different situations require different options. At 800-BUY-KWIK we offer a turnaround from headache to cash in 24 hours. The housing market today begins with online shopping. This is where your staging pays off: use quality and strategic photographs to maximize the visual appeal of your home and post those photos online for people to view. The online photos are the first step to generate a buyer’s interest in your home. You are now well-armed against the most common mistakes when selling your home. Happy selling!